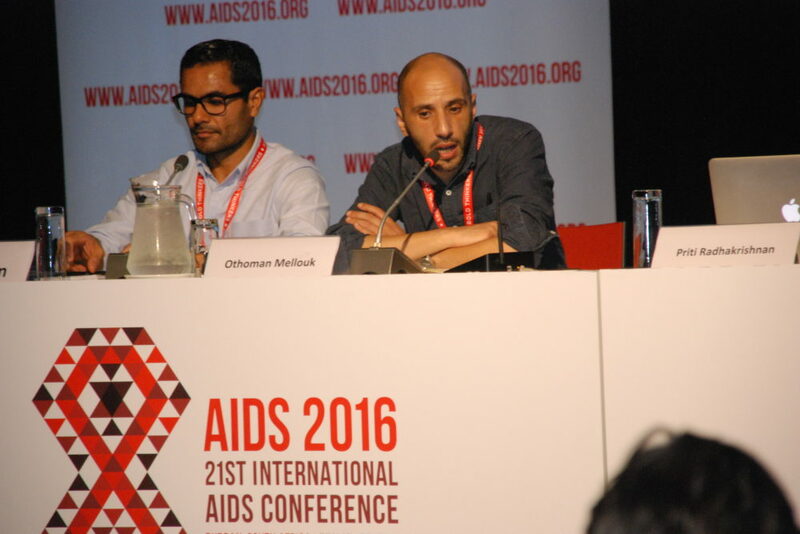 Othoman Mellouk applauds civil society for getting the Brazilian government to include dolutegravir in first-line treatment in national program. The recent announcement that dolutegravir is becoming part of the national HIV program in Brazil is great news for people living with HIV. Dolutegravir has better efficacy, and fewer side effects than other comparable drugs. This result shows what civil society can achieve. Together with other networks, our partner in Brazil, the Brazilian Interdisciplinary AIDS Association (ABIA) has long been building pressure on the government, highlighting the side effects of other drugs, and campaigning for the right to better treatment. The government announcement came during a seminar co-organized by ABIA and ITPC in Rio de Janeiro last month. This is a significant achievement, and I hope that it will encourage other middle-income countries to follow suit and make dolutegravir available as part of their national HIV programs. According to the government, Brazil successfully negotiated a price equivalent to what they were already paying for a first-line regimen drug, around US$500 per person, per year. However, although this seems like an achievement, the price of dolutegravir in Brazil is still far higher than it needs to be. A few months ago, Aurobindo, a generic manufacturer from India announced that they would produce and sell the generic version of the drug for US$44 per person, per year. This is a reasonable price for an essential medicine, but sadly will only be available at that price in some developing countries. As the prices of medicines increase along with the number of patients, the health services of many middle-income countries are under huge strain. Today, less than a third of the people in need of antiretroviral treatment in middle-income countries are currently able to access it. Antiretroviral treatment coverage among adults in Brazil is estimated at four in 10 (41%). With new guidelines promoting test and treat, these figures represent a huge shortfall of those who need to start treatment now. Furthermore, the national health service that offers free antiretroviral treatment for all people living with HIV in Brazil, is overburdened and facing a severe crisis because of the high price of drugs. Civil society can put pressure on drug companies to reduce prices by challenging unmerited patents. There are currently three outstanding patent challenges on dolutegravir, by civil society in India. If successful, this could bring much needed competition, and the price could tumble. Our partners in the Make Medicines Affordable consortium are working to bring down the price of HIV drugs in their countries. To find out about their work and stay in touch with other breakthroughs and successful strategies, visit our website at www.makemedicinesafffordable.org, like our facebook page, and sign up to the newsletter. Othoman Mellouk, is the Access to Medicines and Intellectual Property Lead for ITPC.